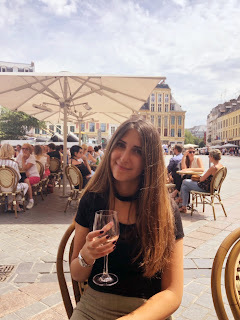 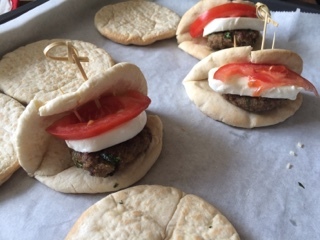 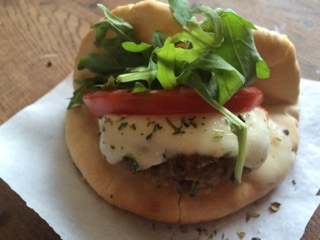 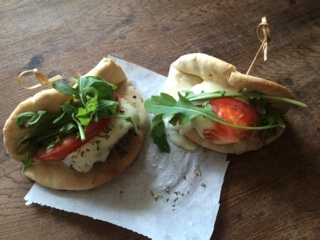 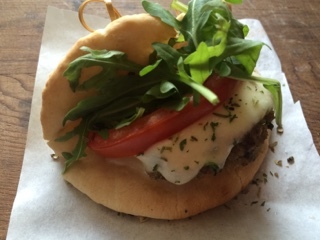 Super delicious pita recipe with kofta, mozzarella and tomato. 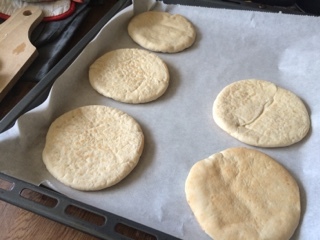 Line a baking sheet with parchment paper, place the pita breads on the baking sheet. 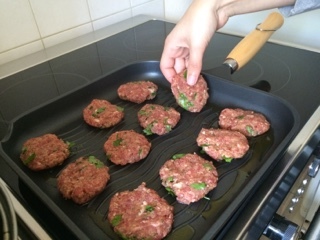 Bake for about 2-5 minutes. 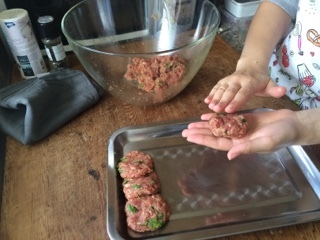 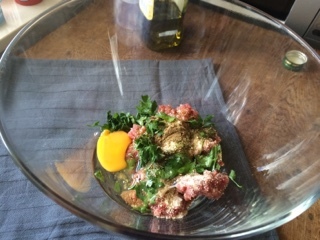 In a medium bowl, stir together the beef, egg, salt, parsley, spices and bread crumbs. 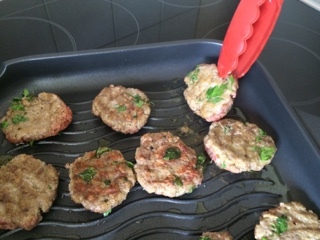 Place the koftas into the pan and cook both sides for 3 minutes. 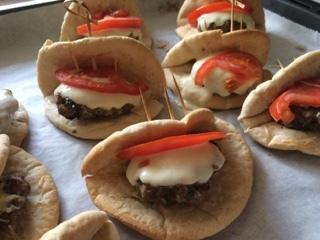 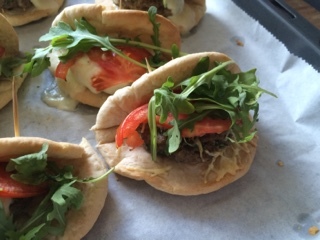 Place the kofta on the pita bread than place the mozzarella slice and than the tomato slice.